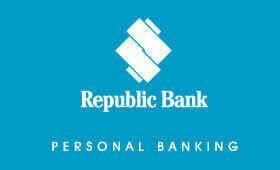 Port-of-Spain, Trinidad, October 5, 2015: Republic Bank Limited has announced the appointment of Mr. Nigel Mark Baptiste, as Managing Director Designate of Republic Bank Limited, and President and Chief Executive Officer Designate of Republic Financial Holdings Limited. He currently holds the position as the Bank’s Deputy Managing Director. 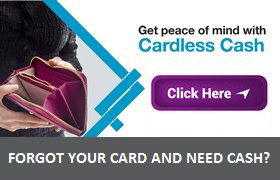 Port-of-Spain, Trinidad: September 25, 2015: Republic Bank, in collaboration with Aeropost, launched a new and exciting offer for all Republic Bank Credit Card customers, who enjoy shopping online. Caption:Seated from left to right: Republic Bank, Social Investment Assistant, Rehanna Ramroop; Workshop Coordinator, Dr. Dani Lyndersay; Workshop Facilitators, Professor Funso Aiyejina and Dr. Merle Hodge; Republic Bank’s General Manger – Information Technology Managmenet Division, Aldrin Ramgoolam; Jamie Bagoo, Representative Ministry of Arts and Culturalism, Division of Culture. Standing are the Workshop participants. Port of Spain, Trinidad and Tobago, Tuesday August 18, 2015:Republic Bank and The University of West Indies (UWI), turned the sod of the new Republic Bank UWI Branch, last Friday, August 14, 2015. The ceremony was held at the construction site, on Circular Road, St. Augustine, opposite the UWI St. Augustine Campus. Port of Spain, Trinidad: August 25, 2015: The 11th Republic Bank Jane Young Tobago Junior Golf Progamme proved to be another successful one, with 25 Junior Golfers graduating from an intense eight-day training session. The session which took place from August 10 – 17, at the Mt. Irvine Golf Course, Tobago, was aimed at improving and developing the youngster golfing practices and skills. Port of Spain, Trinidad: August 25, 2015: The Fire Service Youth Netball Team attained the title of March Past Champions at the Opening Ceremony for the 2015 Republic Bank Laventille Netball League. The ceremony was held at Nelson Mandela Park, St. Clair, Port of Spain, on August 16. Port of Spain, Trinidad and Tobago, Wednesday August 19, 2015: The Cropper Foundation, in collaboration with Republic Bank, hosts their first Teen Writer’s Workshop. The Workshop began on Saturday, August 15, 2015 and will run for 8 days, closing on Saturday, August 22, 2015 at the Toco Foundation Community Centre, Cumana.